The World Ends With You has perhaps one of the edgiest JRPG protagonists that I can think of. The game starts with Neku, the main character, yelling at the world to leave him alone. That doesn't sound so bad, but just watch the first minute or so of this (unfortunately low quality) video of the opening of the game and try not to cut yourself in the process. Neku is an incredibly unlikeable character right from the start. Maybe when I played this game as I teenager way back in the day I related with him a little, but now its hard to play the game and listen to Neku's internal edgy dialogue. The good news is that Neku goes through some significant character growth and becomes less edgy as the game progresses. But, the Band of Bloggers theme wasn't about edge, it was about the undead. So what does this colorful and upbeat game have to do with the undead? Well, Neku is dead through the entire game. Neku and his partners are being forced to play the Reaper's Game, a week long trial that will grant them their lives if they can win. There are reapers playing opposite to Neku and his friends, doing their best to keep the players from winning. The reapers goals are erasing the players from existence. In order to go for a second chance at life and play the game, the players must give something important up, something that will be returned if they win. Unfortunately for Neku, his price seems to be his memory, as he can't remember having died, nor can he remember anything else. He enters the game with no idea of the rules or how he got there, while the other characters all seem to know what's happening around him. 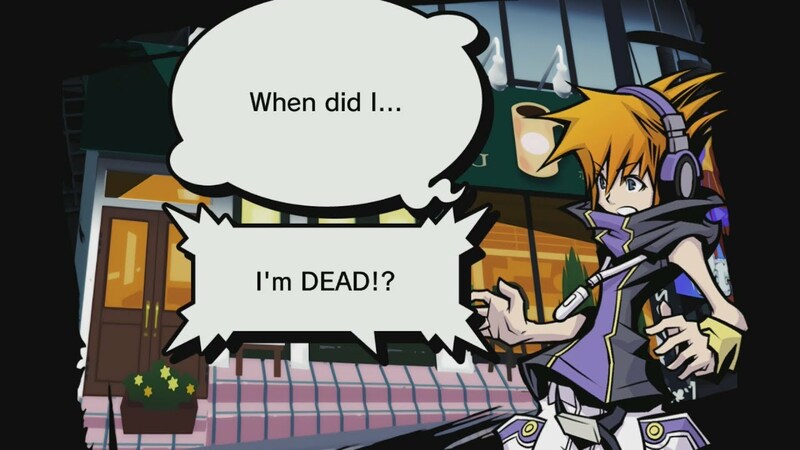 Neku doesn't even realize that he's dead until five days into the game. He's been a poltergeist the whole time and he had no idea! Since Neku is essentially a ghost, he has some pretty neat ghostly powers (that are tied to fasion somehow). Neku can equip certain pins that give him access to his otherwordly powers. The most basic one that all players in the game have access to is the scan. Neku can scan the area around him to read the minds of the still living people nearby and see the enemies of the game. Neku has other abilities as well. He can move objects with his mind, influencing a game that living people play called Reaper Creeper. He can imprint thoughts into others minds, and this game is so old the thoughts that you imprint onto the living are unironically called memes. Even with as ridiculous as that looks, that is some quality ghost possesion right there. While The World Ends With You isn't a spooky game, it is a game about a ghost fighting for a second chance at life, so it can still fit for Halloween. There are chances all around in the game to influence the living and effect their lives. It's about escaping reapers who are trying to erase your soul. It has everything necessary for a good undead romp.